We've all done it. We pull into the dock after a fun day on the water and forget where our lines are. The driver and passengers frantically search for them while trying not to hit the dock and damage the boat. 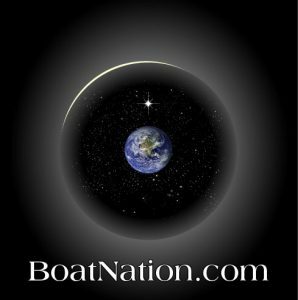 Finally, a passenger finds the algae-infested, frayed mooring line and frustratingly ties the boat with a haphazard knot on the bulky cleat. Meanwhile, the driver finds some crazy way to tie up the other side, with the line woven between two posts with some knot they learned in boy scouts. 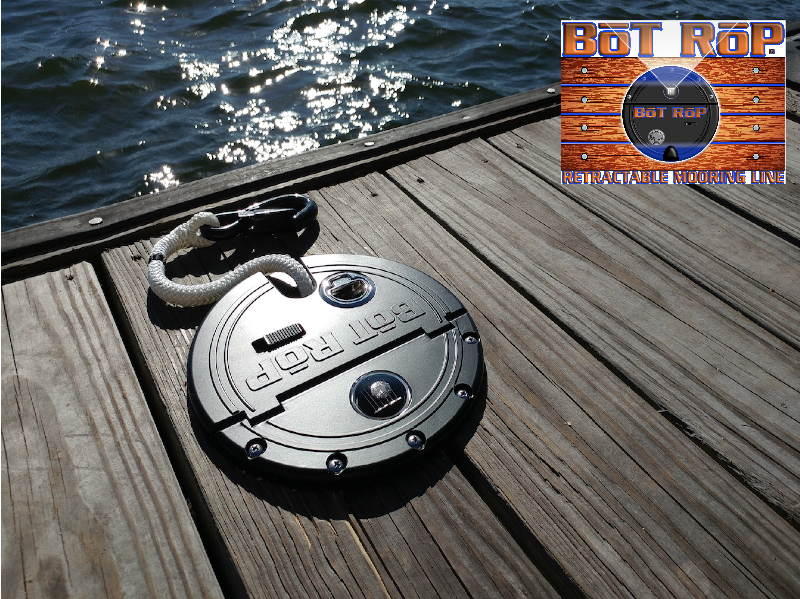 Well, [BT RP®] (Boat Rope) solves this problem with its retractable mooring system, that replaces traditional three-strand dock lines and toe-stubbing cleats. 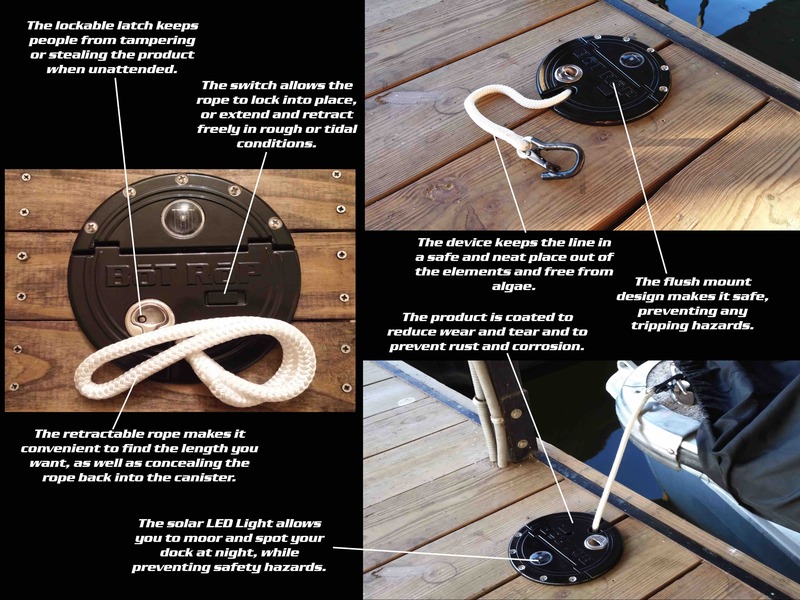 Inside a rust proof enclosure, the lockable mooring device stores and protects the double braided mooring line and the plastic coated snap hook. 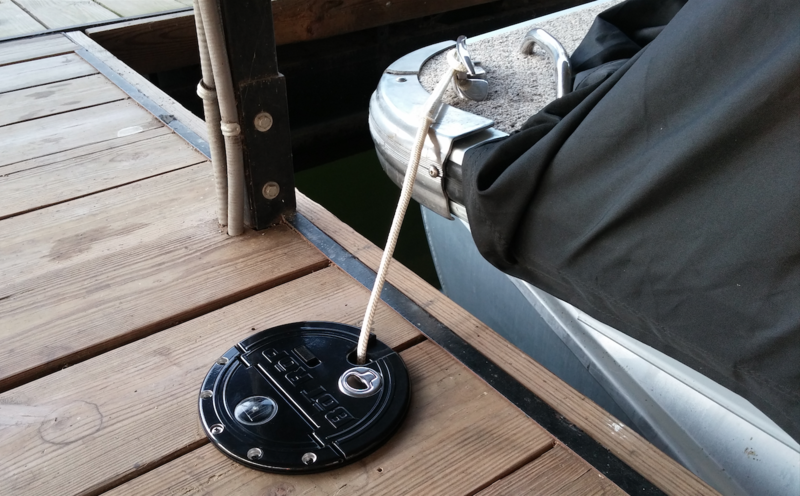 Flush to the surface, there is nothing to trip over, thus providing safety while walking on the dock. To help find BT RP after dark, a solar-powered LED light is installed on the cover.